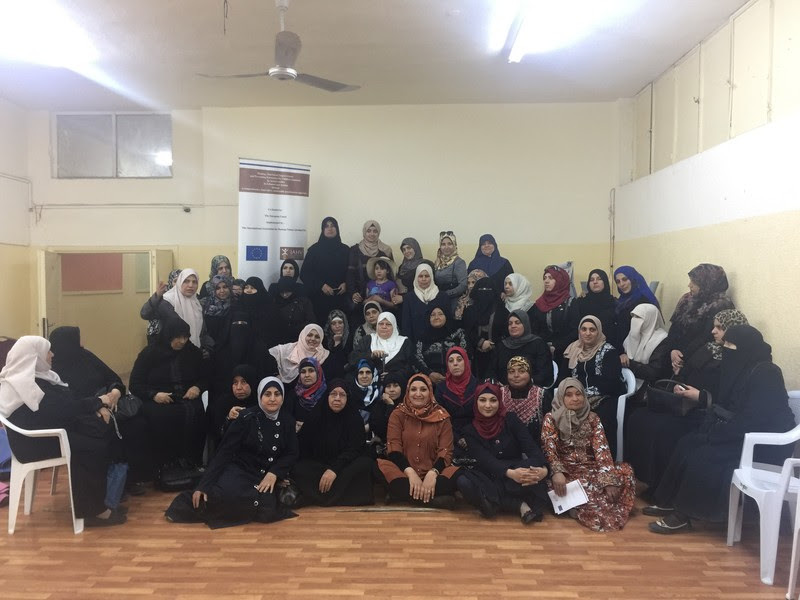 Here is the first update about our project activities straight from the ground in Jordan! 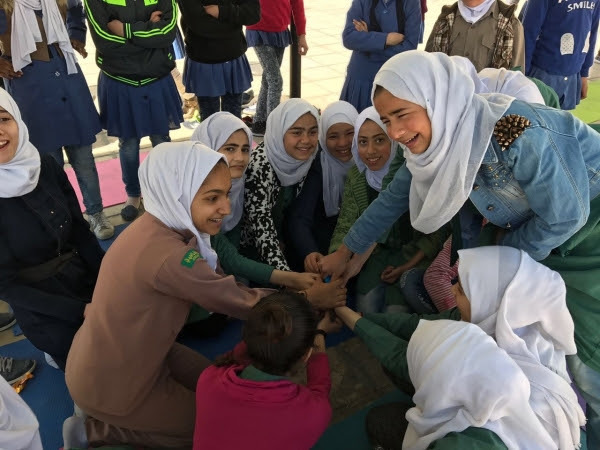 Our team is currently implementing stress relief, resilience and empowerment programs for the most affected and vulnerable children, teachers, parents and caregivers in Zaatari, Mafraq, Zarqa, Irbid, Karak and East Amman. 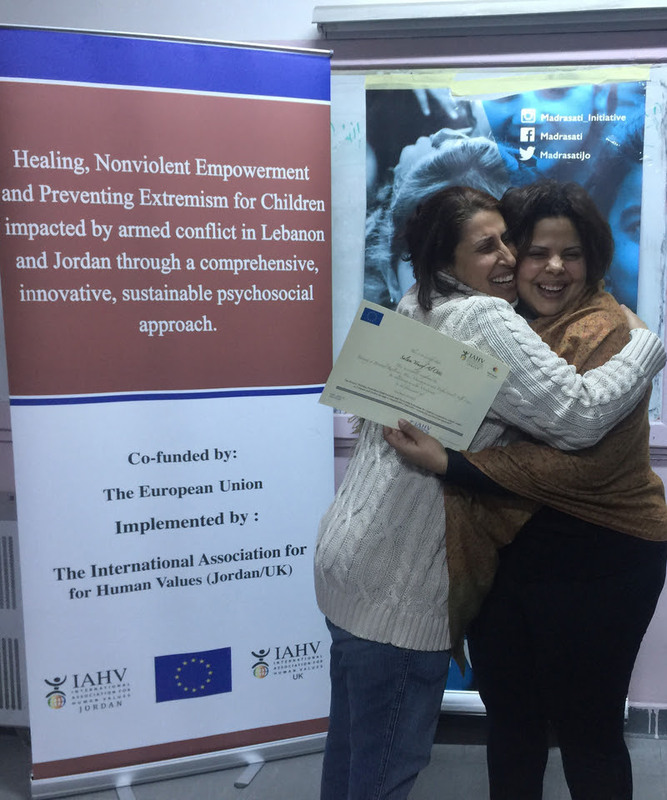 In cooperation with local partnering organisations, this IAHV project aims to prevent and reduce violence in the lives of war-affected children in Jordan and Lebanon and strengthen a violence-free, supportive environment for them. 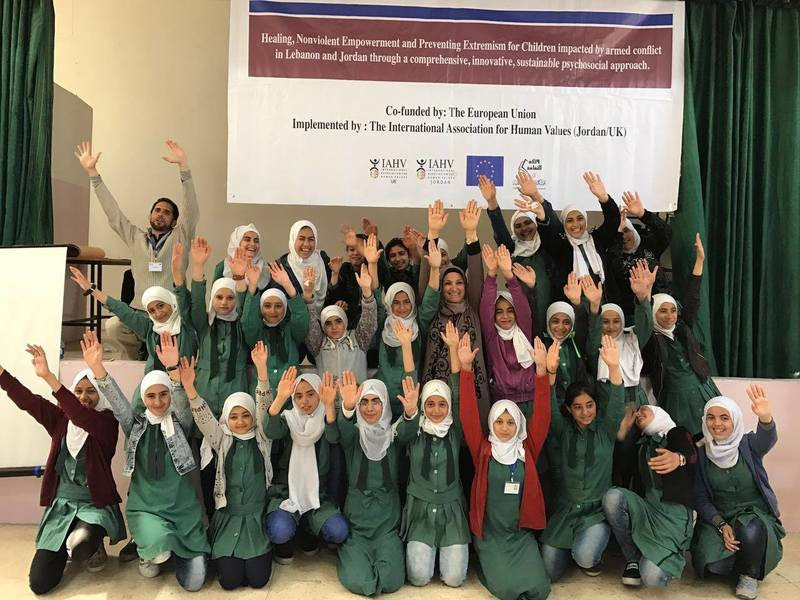 Whether on the border with Syria, in classrooms of 100 children, with widowed Syrian mothers or in Zaatari, currently the largest refugee camp in the world, participants are experiencing great benefit of the simple and accessible techniques IAHV is offering. Read their personal testimonies below and find out how you can get involved. To reduce stress, depression, anxiety and sleeping problems, and to improve resilience amongst children affected by violence and war, IAHV conducted till now 40 Stress Relief and Resilience (SRR) workshops for 1,213 children aged 7-16 in order to address the psychosocial consequences of conflict and violence and providing relief. 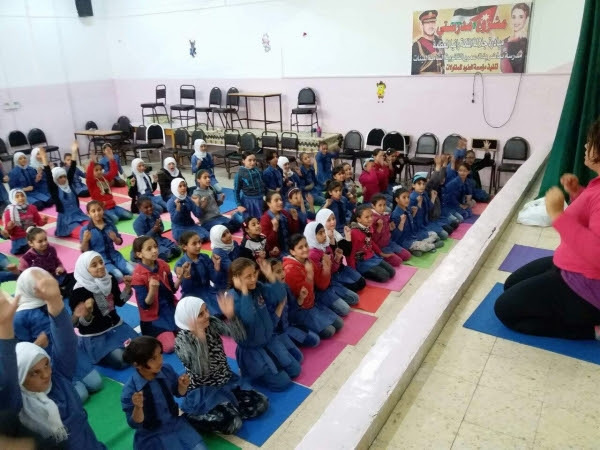 To make sure that the children are receiving the right care and to strengthen a supportive environment for them, 8 Trainings in Personal Resilience, Stress Management and Professional/Self Care (PC) were conducted for 140 teachers and frontline workers. PC improves the wellbeing, resilience and performance capacity, helps to prevent burn out and improve stress management for professionals working in difficult circumstances on a daily basis. Aiming to also benefit the adults in the children’s environment, IAHV also conducted 3 workshops in Healing, Resilience and Empowerment Training (HRE) for 97 mothers of the children who attended the SRR workshops across our target zones. HRE aims to improve the wellbeing, resilience, and understanding of family members to provide support to their children, and in the meantime release stress, anxiety, worry, and increase coping capacity and empowerment. 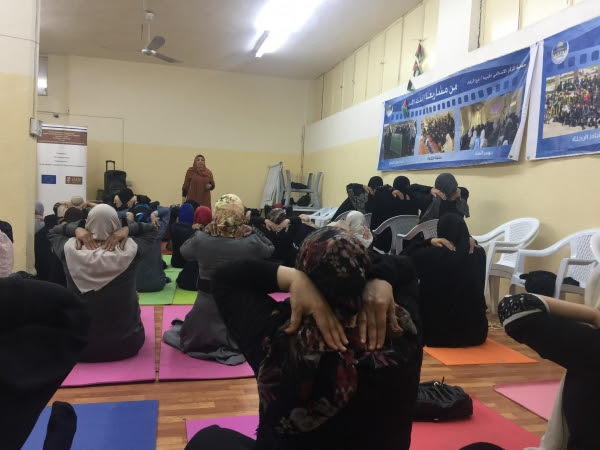 In Zarqa, participants were widowed Syrian mothers who have all gone through traumatizing events, from forced relocation to witnessing the loss of a family member. Jordan has been struggling with multiple national challenges such as high unemployment rates, dependency on foreign aid, and a slow economy. The Syrian influx poses yet another massive challenge on the Kingdom, creating a strain on its already scarce resources, and increasing social tensions between refugees and host community members. 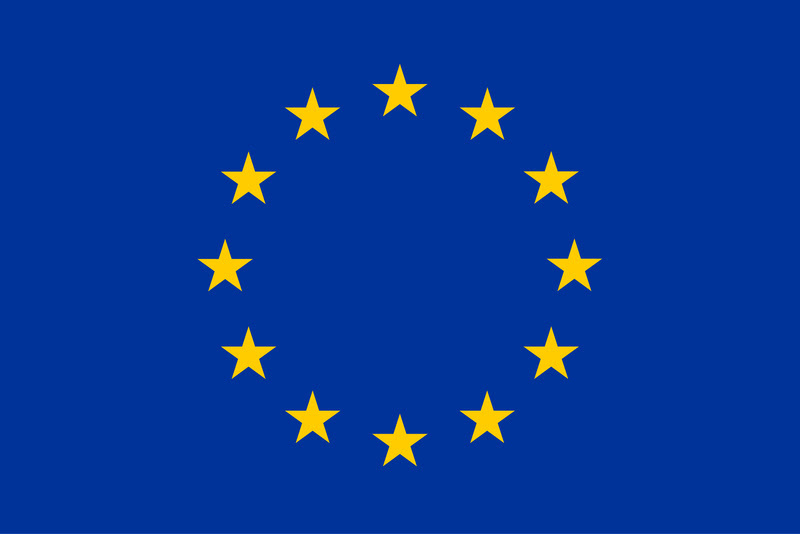 The public schools have become overcrowded, unemployment has risen, and public morale and hope have gone down. 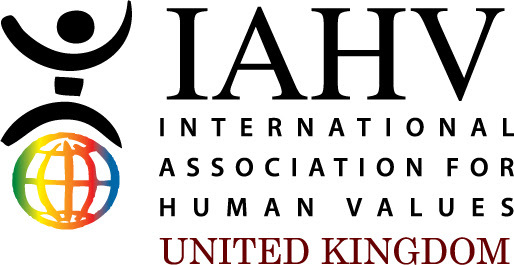 Following intensive consultations with local key stakeholders, IAHV has focused its activities on some of the most vulnerable populations, both Syrian and Jordanian. For example, Dafyaneh in Mafraq, is one of the poorest and neediest villages in the Kingdom, perched less than one mile from the Syrian border. The village consists of small stone houses and huge tent settlements that have been home to Jordanian Bedouins for hundreds of years. From Agraba, a small town in the Governorate of Irbid, one can see the fields of Syria and a town controlled by the rebel forces. On a daily basis, the inhabitants of Agraba, Jordanian and now also Syrian, hear the sounds of bombs falling, and are regular witnesses to the desperation of their neighbours. The Zaatari refugee camp, home to over 80,000 Syrian refugees, is now considered the fourth largest city in Jordan. Similarly, the city of Zarqa, already home to thousands of Palestinian refugees, now hosts over 50,000 Syrian refugees, making it the third largest city in Jordan. In overcrowded schools violence among children, such as bullying and hitting, often goes unaddressed, possibly leaving the impression that violence is the norm. The over crowdedness of the classrooms and the increased working hours have depleted many teachers’ morale and motivation to fully engage with their students. This has in turn demotivated students, resulting in escalated aggression. A sense of double social marginalization has been on the rise in the majority of the zones IAHV is working in. 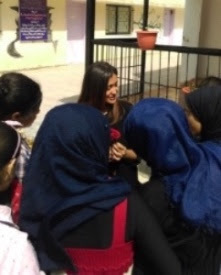 In Dafyaneh, one young Syrian girl whispered “but I’m Syrian, is that okay?” while at the same time a young Jordanian girl would whisper, “can I actually join such an activity, even if I’m not Syrian?” IAHV programs therefore also help to reduce social tensions and support the inclusion and cohesion among communities. In total 8,000 children, 250 professionals and 1,500 parents in Jordan will be reached within this project. In the next few months the IAHV team will be conducting regular follow-up sessions to PC graduates which will prepare them to take the Training of Trainers (TOT), another bold step in the project which will ensure multiplication and sustainability across the most vulnerable schools and communities in Jordan. Summer camps will also be offered where 200 children and youth most at risk of violent behaviour, self-harm, suicide, aggression or recruitment, will be taking deep trauma relief, healing, resilience and human values workshops. 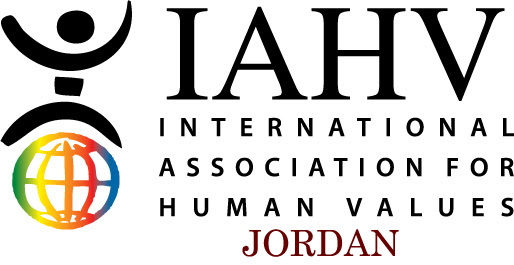 IAHV will continue to add optimism to a community that has been losing the meaning of that term for years now, and will continue to work together with its partners towards social cohesion that will serve as the backbone of stability to Jordan, and eventually to the rest of the region. Do you know key stakeholders in the corporate sector, government, grant or funding bodies who might be able to help us secure the 25% co-funding required to implement this project? Kindly send us a message at info@peaceunit-iahv.org. 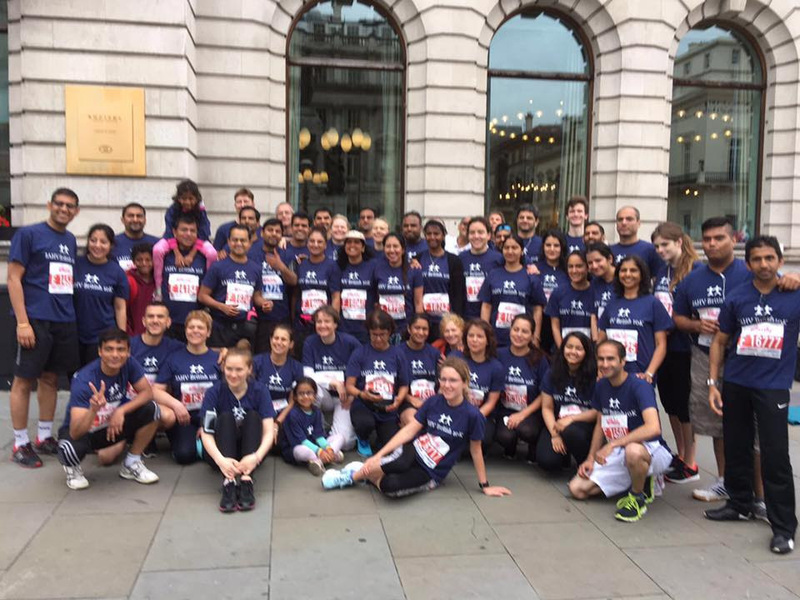 Join the London 10K or contribute to the Global Giving Campaign using the links above. Every little donation helps in our global peacebuilding efforts. This project is implemented in close cooperation with our local partnering organisations on the ground in Jordan. Rising above the myths surrounding menstruation: Let’s talk about it!